Paddling at SDCKT is uniquely conducive to getting whole families involved. In most sports such as soccer, baseball and football the majority of the parents are limited to taking their turns providing snacks and just being spectators. In paddling, parents volunteer to help out at races, regattas and time trials in many capacities. Also, in many families, more than one of the children and often one or both parents paddle. Paddle sports are unique in that children can compete in the same regattas as their parents, beginners can participate at the same events as elite athletes and everyone can paddle recreationally for fun and exercise. With this heavy family involvement in paddling, over the last fifteen years SDCKT has had many siblings paddling together. Several of them have competed against each other because they were born within two years of each other. SDCKT currently has two sets of twins paddling with and against each other. 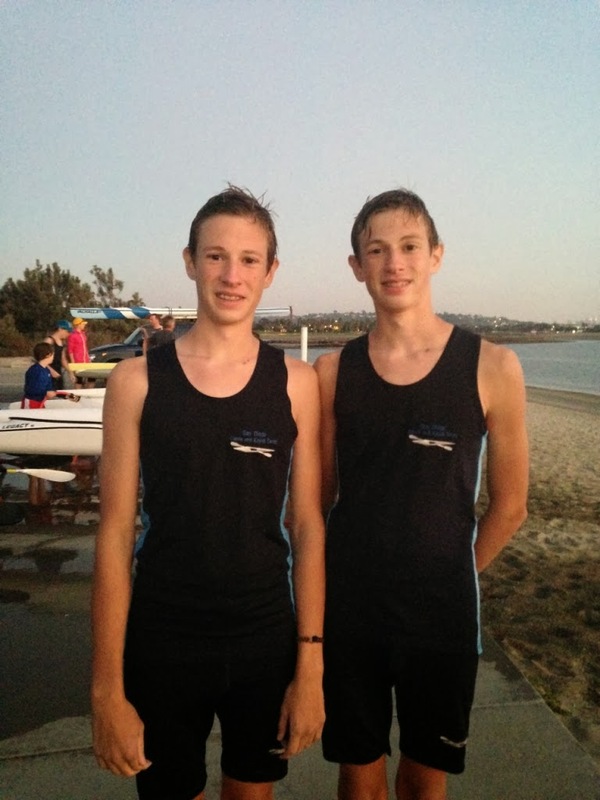 We asked the Borm and Miller twins how they liked being involved in kayaking together. “It’s different because you can’t really go home and talk about issues that you might have had with a K2 partner because that person might be your sibling,” said Danielle Borm. 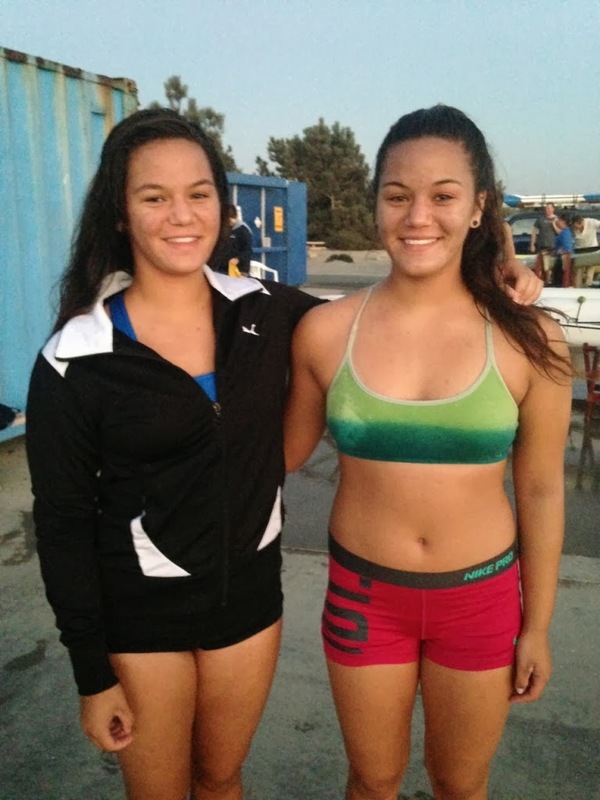 The sibling rivalries take over at home and on the water as these sisters compete with and against each other. Leilani Borm said that they are, “always expected to push each other and try to beat each other” during practices and competitions. The high expectations bring great success to the talented paddlers as they bring their competitive edge to every workout. In the sport of kayaking, paddlers tend to always be sprinting on the water but the Millers do not fail to keep each other in check as they train together. “When we do a level two workout one of us will randomly speed up so we always have to remind the other that it’s only level two!” exclaimed Michael Miller. His brother, Ryan, agreed that, “it is a lot of competition,” and confessed that, “it doesn’t always end after every practice”. Training with someone is one thing but paddling in the same boat as that person has its significant differences. The Borm twins have competed with each other in K2 at multiple competitions throughout the years and have shared some fun and interesting memories. “Sometimes we have good K2 experiences and sometimes we just don’t…” said Leilani who enjoys paddling with her sister, “half of the time, but the other half……,” their arguments from home continue as they get on the water. Danielle shared, “We have our sibling issues but we are a good K2 when we want to be”. They had tremendous improvement in their team boat from the first time they paddled a double together at the age of ten. “We almost sunk our boat after flipping in a lot” said Danielle. “It’s a different experience going K2 with Ryan because we each have a different stroke style,” Michael explained. Both boys agreed that the competition between them is present in a K2 which makes it difficult to work together. However, they are better teammates in a K4 since it’s not just the two of them in the boat. Sibling rivalry may cause some issues but the Borm and Miller twins agree that paddling together has given them more motivation at home and during workouts! “You always have a partner to run with and someone to push you constantly,” said Ryan. Michael explained how the rivalry is motivating to him when he sees his brother, “out there beating him, [he] knows that [I] will try harder to catch up and go faster than him”! The Borms encourage one another to get faster by always competing with each other and also by, “going to the gym together to swim and do pull ups,” said Danielle. Leilani is thankful that, “there is always someone who has to wake you up for the early morning workouts in the summertime”. Paddle sports can be great for the whole family- as long as you don’t mind living with the competition!